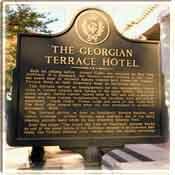 The Georgian Terrace Hotel is where the cast and crew of Gone With the Wind stayed during the time they were in Atlanta, Georgia for the first premier of the film. This is also where they had their premier party. Across the street from this hotel is the Fox Theatre. The oldest movie theatre in Atlanta. The Fox Theatre did not have the premier there because it was bound to 20th Century Fox films only. Back in the thirties theatres, movies, and distribution were all bound together. 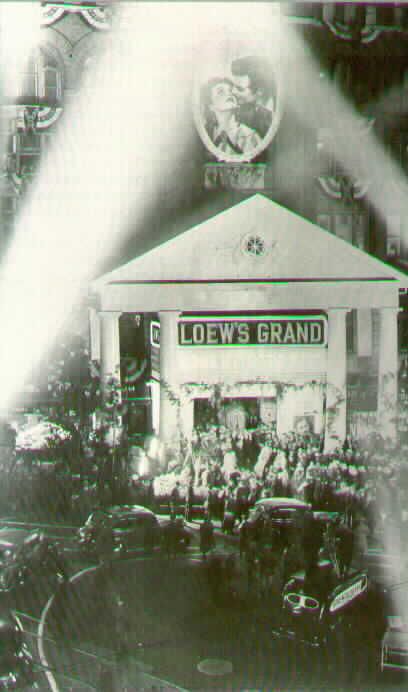 The premier at Loews Grand Theatre was held on December 15, 1939. This is a picture of the Fox Theatre back in the twenties when it was first built. The Georgian Terrace Hotel was directly across the street from it. This is the most famous theatre in Atlanta. Loews Grand is not in Atlanta anymore, or else that would probably be the most popular since the Atlantans are some of the BIGGEST fans of Gone With the Wind. 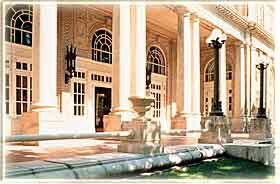 This is where the Gone With the Wind Premier was held. This is the original poster from the 1998 re-realease of the film. 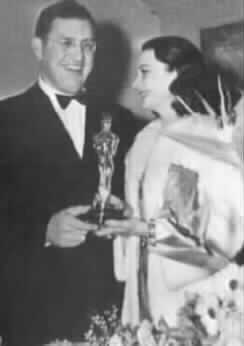 David O. Selznick helping Vivien Leigh show off her Best Actress Award for her portrayel as Scarlett O'Hara at the 1939 Acadamy Awards. 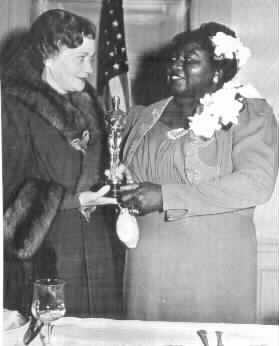 Hattie McDaniel recieving recieving her Best- Supportive Actress Award for her portrayel as Mammy at the 1939 Acadamy Awards. Hattie was the first African-American to ever win an award.